The holidays have left me bereft of any want to take photos of my own, so I turn to artists I love to get me snapping again. 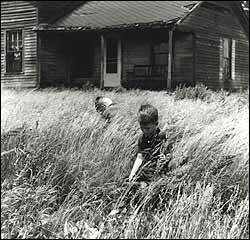 Ralph Eugene Meatyard was an optician from Louisville, Kentucky who practiced photography on the weekends, capturing on film a world of dime store masks, abandoned landscapes and unprecious portraits of children. 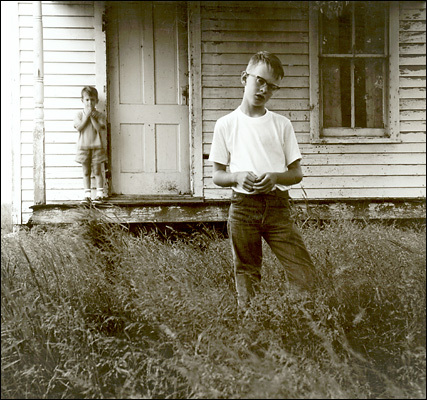 He was a voracious reader whose last body of work, The Family Album of Lucybelle Crater, was inspired by a Flannery O’Connor character. 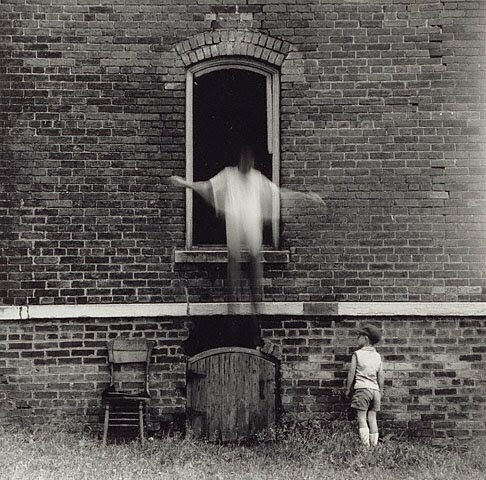 I feel a kinship to his photos, not only for their dark, surreal subjects, but also because he was a primarily self-taught photographer who lived a creative life outside of an artistic community. I couldn’t decide on just one or two of my favorite shots, so I included these eight – the first one in this post leaves me breathless. It’s the kind of mystery that gets my brain turning – pen to paper, eyes through lens. I’ve never seen anything quite like this… extraordinary and bizarre. It would be an interesting project to try taking some Meatyard-ish photos! When I first saw Meatyard’s work, I fell instantly in love. I haven’t seen much else like it. I thought that you had taken the first photo until I read on. It’s neat to see the work of someone who inspires you. They sure do get the brain turning, as do your photos. Looking forward to the stories you tell through your images in 2011! I wish I had taken that photo — but at the same time, I love that I can go to it whenever I need inspiration.